Biological Evolution Websites : This is a useful reference website with quality material under many topics. Nearctica - Education - Main Page : Like this page, tries to provide well-selected topical links (very extensive). In Science, June 22, 2001. ".....Wells presents a systematically misleading view of evolution. Individual sentences in Icons are usually technically correct, but they are artfully strung together to take the reader off the path of real evolutionary biology and into a thicket of misunderstanding." If you do not have an online sub-scription to Science, look for this review at your library. In my part of South Texas students ask that question a lot. Fundamentalism-Creationism is endemic around here, and somehow that noisy minority has convinced the indifferent majority that to be a Christian of any sort, one must reject evolution. Science and Creationism : A view from the National Academy of Sciences : Scientists, like many others, are touched with awe at the order and complexity of nature. Indeed, many scientists are deeply religious. But science and religion occupy two separate realms of human experience. Demanding that they be combined detracts from the glory of each. California Gets an A : California is among just six states that received high marks for their teaching of evolution, while 19 states faired poorly and Kansas flunked, with a curriculum deemed "disgraceful,'' according to a new report that promises to spur the decades-old debate between science and creationism in the schools. Evolution -- Fact or Theory? : One of my new pages explaining terms of science. Evolution is both a fact and a theory. In science all facts are provisional and subject to revision. There is no ultimate truth. This is the greatest strength of science, the humility to know that all things are not known. The Scientific Method : Through experiments and careful observations the results of this approach are universal in the sense that they can be reproduced by any skeptic. It is from these ideas that the scientific method was developed. When consistency is obtained the hypothesis becomes a theory and provides a coherent set of propositions which explain a class of phenomena. Teaching about Evolution and the Nature of Science : The teaching of science in the nation's public schools often is marred by a serious omission. Many students receive little or no exposure to the most important concept in modern biology, a concept essential to understanding key aspects of living things—biological evolution. Nobel e-Museum : Lists all winners. Tour institutions that make the awards. Access Excellence : is a national educational program providing high school biology and life science teachers access to colleagues, scientists, and sources of new scientific information. Includes many teacher-written lesson plans valuable for teaching evolution. Biology Project : Includes lesson plans and activities by middle and high school teachers in a general biology program for secondary school teachers. There is also enjoyable material for persons of all ages. The Textbook League : Presents independent, expert reviews of textbooks that publishers are selling to schools right now. The reviews appeared originally in the League's bimonthly bulletin, The Textbook Letter. 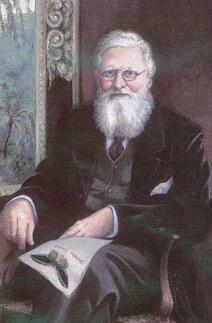 Urbanowicz on Darwin : Dr. Charles F. Urbanowicz, Professor of Anthropology, Calif. St. Univ. at Chico. Creating instructional videotape(s) dealing with Darwin is an attempt to not only convey the content of Darwin's work within the context of his times, but also to demonstrate the impact his ideas have for contemporary University students. Excellent biographical material on Darwin. Internet Learning Network : Offers quizzes based on questions from the Third International Mathematics and Science Study. It's sponsored by the Council on Competitiveness, in response to the poor showing of American high school seniors in general science literacy on the widely cited test. The Physical Sciences Resource Center : at the Amer. Assn. of Physics Teachers includes a review of Physics Textbooks in use in middle schools. See also the website of the Amer. Assn. of Physics Teachers. ScienceNetLinks : A K-12 directory from the AAAS lists scores of great science and math links, screened for quality by an expert review board. Use the search window to pull up pages dealing with Evolution. Science Hobbyist : Worthwhile books, science fair ideas, demo articles, experiments and exhibits, kids' science projects and science education links. Science Links : For the student and Amateur Scientist, ideas for science fair projects and stretching minds. Evolution of Flight : is sponsored by the American Institute of Aeronautics and Astronautics to mark flight's upcoming centennial. Besides profiles of figures in flight, there's a timeline from hot air balloons in the 1700s to the inaugural stay on the space station. Includes an image gallery, experiments for kids, and lots of links. Mini Science Student Projects : Ideas for Science Fair projects and student experiments. Young Naturalist Awards : A beautiful website honoring scholastic achievement by teenage students. The AMNH website has pages for the many annual award winners since 1998. These are great motivational reading for students thinking about science fairs or about expanding their horizons in natural history. Middle and High School Science Websites : Just over 50 middle and high school science webquests are spread throughout these educational websites. Zoom School : is an on-line elementary school classroom with lessons in geography, biology, language arts, and early childhood activities. Animated Science for Kids. : Packed with cartoon movies on science, health, and technology. In over 120 entertaining shorts, a guy named Tim and his robot sidekick, Toby, lucidly cover everything from nerves to fuel cells to relativity. Aimed at 5th to 8th graders; visitors can watch up to five movies a day for free. Enchanted Learning : Enchanted Learning produces children's educational web sites and games which are designed to capture the imagination while maximizing creativity, learning, and enjoyment. Helping Your Child Learn Science : From About.com. Loads of ideas for projects for and with your kids. Electronic Campus: Fee courses, programs and services. Offered by accredited colleges and universities in the SREB states, they meet the Principles of Good Practice developed by the Electronic Campus. Try searching on "Biology" for the upcoming semester to get an idea of course offerings. Life Science Computing Facility: Web courses with highly illustrates texts. Offerings include Introductory Biology I: Genetics, Biochemistry, Survey of Computational Methods in Biochemistry and Molecular Biology, Immunobiology, Molecular Genetics II: Eukaryotes, Medical Immunology and also Signal transduction. Journal of Young Investigators: is a student-led initiative to broaden the scope of the undergraduate scientific experience. JYI provides opportunities for students to participate in the scientific review and publication processes, primarily through the operation of its peer-reviewed journal for undergraduates. Fossil Sites by State : Change the Search Parameter from "Fossils Maryland" to that of your state.